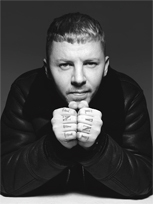 Stephen Manderson A.K.A Professor Green was born on a Hackney Estate and raised by his grandmother, something that he now openly talks about, the pressures of no father figure, lack of encouragement to finish school, anxiety and hypochondriac which he addresses openly in his best selling autobiography "Lucky" published September 2015. The rapper was always learning lessons the hard way – whether at school or on the streets in East London, however his life experiences – both good and bad – have shaped the person he is today. Life and music have always been intertwined for the young rapper, but it wasn’t until he was 24 that the two were brought into focus by the suicide of this father – within his song lyrics you can hear the intense and raw emotions he felt and through these experiences he has become recognised for his work raising awarness of mental health and suicide. He's battled anxiety and depression from an early age and has always talked about being raised by his nan, Patricia and great nan Edie. He has since become a patron for the charity CALM (Campaign Against Living Miserably) and has made a series of thought provoking documentaries for the BBC including: Suicide & Me (2015), Hidden and Homeless (2016), Dangerous Dogs (2016), Living in Poverty (2017) and Channel 4: Working Class White Men (2018). "People who take their own lives are not selfish, they often think quite the opposite - and that's what I hope changes." 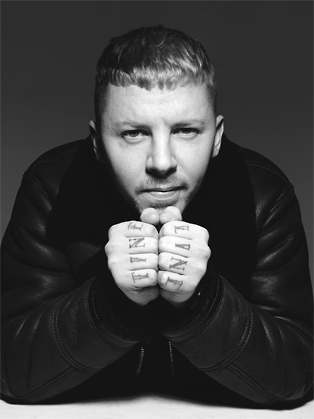 Professor Green’s music career began in 2010 with the release of the album “Alive Till I’m Dead” and the hit songs “I Need You Tonight” and “Just Be Good to Green” which features British singer Lily Allen. Green’s second album titled “At Your Inconvenience” was released in 2011 and in 2013 his third album “Growing Up in Public” was released with a number of collaborations from artists such as Example. 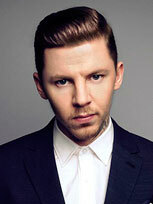 Professor Green has appeared on Newsnight, Victoria Derbyshire, Loose Women, BBC Breakfast, Sunday Brunch and many more. He has currently 4 documentaries on BBC Three with more to come and 1 documentary on Channel 4 with more to come. He is a brand champion to several global blue chip brands and spends significant time investing and encouraging young people who may not have a desire or confidence to persue a formal education. 2018 brings more thought provoking documentaries, campaigning for the vulnerable, co-Hosting with Maya Jama on the red carpet at this years Brit Awards and new music soon to be released. Edge Hill University was delighted with Stephen’s contribution to our Festival of Ideas. His In Conversation event, focussing on his work raising the profile of issues affecting working class white males, was insightful, moving and engaging, generating meaningful discussion before, during and after the event. His talk has helped us achieve challenging targets for publicity reach and public engagement. Stephen was assured and captivating, building rapport with a diverse audience ranging from schoolchildren to academics. From first arrival through an intense schedule culminating in Q&A and book-signing, Stephen was a consummate professional and a delight to work with.